You can be on the vacation or on the other end of town while transacting with clients virtually. Make your conversations with people turn into business opportunities. 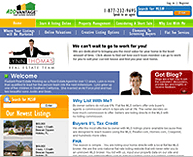 Our concept is to provide Florida real estate agents with powerful and varied websites that directly reach out and communicate with buyers, sellers and hybrid sellers. More leads and less paperwork! When you are licensed under the ADDvantage® umbrella of marketing, you get our technology built for the electronic age…$99 per month and YOU KEEP all the commissions. 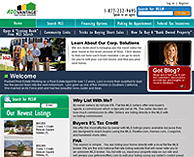 3 different websites that morph to the dynamic real estate market on the fly! This might be the most fun part of our system…It so easy to use even a Realtor® can do it! For those that want a little guidance through closing a home, our system will remind you of every step and even send the selling agent “deposit verifications”. Our lead area stores all showings that you enter into the system. It stores these showing requests in the seller's account as well. Once entered, our system will send a “feed-back” email to each Realtor® the day after a showing requesting feedback which is automatically sent to the seller…Then, the seller can login into their account at your seller website and lower their price. Blog way on all our sites with our easy to use editor…It's just like using “Word”…Get the word out that you list home in your neighborhood and have expertise! Our websites are known to work for you, not just sit there!